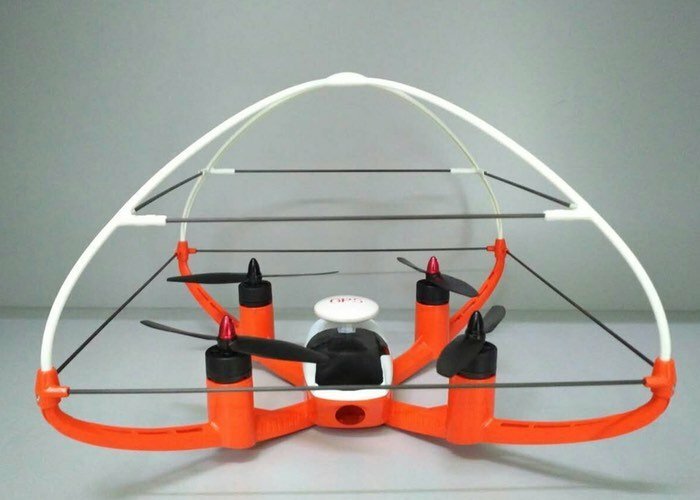 If your quadcopter flying skills are not quite up to scratch, a new drone might be worth more investigation as it has been equipped with a patented protective shell frame designed to keep both the pilot safe and prevent catastrophic damage to the quadcopter. Designed by Advanced Aerodynamics the durable drone is also equipped with virtual reality capabilities and due to weighing less than one pound. Its expected to be exempt from the new federal regulations requiring owners to register their drone before flight. Watch the video below to learn more about this unique quad copter design with its protective framework that has taken to Kickstarter to raise $100,000 to take the concept into production. Its creators explain a little more about the frames inspiration. • Virtual reality (VR) goggles that when combined with a cell phone, can give the users a first-person view (FPV) of XT Flyer’s camera. • The stream can be shared in real-time to social media. • The goggles also make augmented reality (AR) games a possibility. For more information on the new XT Flyer Drone jump over to the Kickstarter website for details.